Is there a better alternative to Citrio? 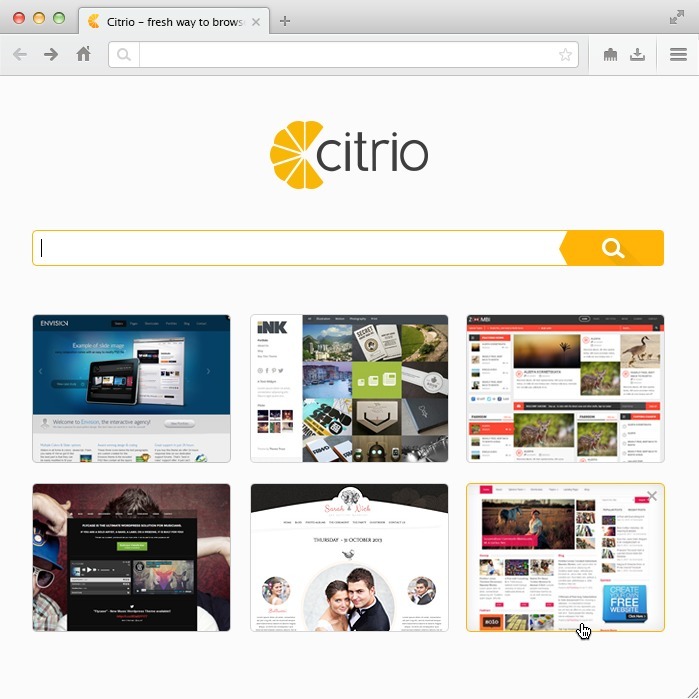 Is Citrio really the best app in Browsers category? Will Citrio work good on macOS 10.13.4? Сitrio is an innovative user-friendly web-browser, which combines powerful functionality and exquisite design of the user interface. It includes a range of standard options and a vast array of unique features for users too, all for making web-browsing experience really exciting and effortless. Citrio Download Manager for fast and easy download of files. It allows managing the download process; pause/resume downloads, whenever one wishes to. Citrio needs a rating. Be the first to rate this app and get the discussion started! Citrio Proxy Widget for surfing the Web via proxy servers. It enables to apply versatile proxy servers in a few clicks with no need to search for and change the relative browser settings in the internal menu. Citrio MediaGrabber feature for the download of files from online services like YouTube, Daily Motion, Vimeo, etc. It allows downloading multiple files, tracking and managing video downloads in real time and downloading files in the background mode.